We announced an event Ubuntu earlier today, and it's official, Ubuntu launches into mobile phones, and in 2 ways. Firstly, the OS is Ubuntu Mobile now official, he spoke in the hallway noise for a while. 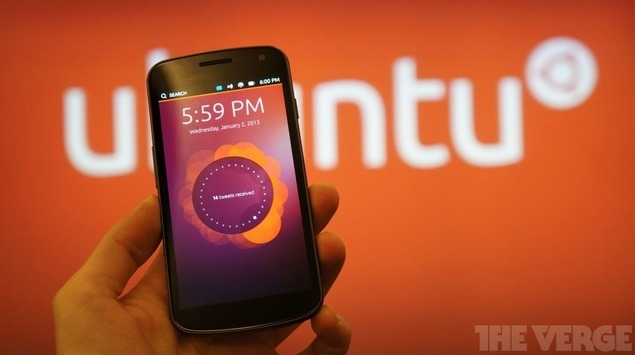 This OS Ubuntu Mobile will be available later in 2013. It is built around Android kernel and drivers, and promises to use the power of the machine. The Ubuntu Mobile OS will support ARM and x86 processors and is compatible to the manufacturers of mobile Android OS can run with minimal adaptation. It is also planned, but mobile, this Ubuntu Phone, will not see the day before 2014, that is what Mark Shuttle-worth announced. The mobile in question is even a "high end" manufactured by a manufacturer of mobile Android. For now, the only mobile OS that supports Ubuntu Mobile is the Samsung Galaxy Nexus. If other information reaches us, we will certainly let you know.